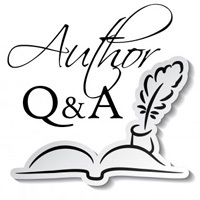 We are delighted to welcome author Leslie Karst to Omnimystery News today. Leslie's third mystery to feature restaurateur Sally Solari, Death al Fresco (Crooked Lane Books; March 2018 hardcover and ebook formats), is published today and we recently had a chance to catch up with her to talk more about the series. Omnimystery News: How would you categorize your books? Or maybe it's easier to ask, into which genre would you place your series? Leslie Karst: My Sally Solari culinary mysteries are categorized by my publisher as “cozies,” and the covers and marketing for the books tend to reflect this. But to my mind, the series actually falls somewhere on the spectrum between cozies and what are now referred to “traditional” mysteries. Sally can tend toward the sarcastic and has a fondness for bourbon and the occasional swear word—things not generally found in your typical cozy mystery. OMN: How much of your own personal experiences have you included in the books? Sally, however, is far braver than I—perhaps even too risky. I’d never have the nerve to investigate an actual murder. (Then again, I’d make for a pretty uninteresting sleuth, as well.) And I’d never dream of running a real life restaurant; the work is far too exhausting and takes up too much of your life. But make-believe-running one in my books is loads of fun. One of the best things about being a writer, however, is that you get to give your characters all sorts of traits and possessions you don’t have, but might wish you did: hence, Sally’s tall, lanky build, her cool ’57 T-Bird convertible, and her Italian heritage. OMN: How true are you to the setting of the series? LK: I think of Santa Cruz, California, the setting for my Sally Solari mysteries, as almost like another character, and I try to make my portrayal of the place as accurate as possible. At the time I arrived there in 1974, it was still a sleepy beach town, home to Italian fishermen, ranchers, retirees, and summer vacationers drawn by its famous redwood trees and Boardwalk. But over the years, largely because of the advent of the university in the late-1960s, Santa Cruz has experienced profound changes, and these days the town is teeming with hipsters and hippies and urban professionals. And along with these newcomers, the food movement has descended full-force upon the surprised old-timers. As I witnessed (and participated in) the advent of this “foodie” revolution and its effects on our once-sleepy town, it hit me that the juxtaposition of these two cultures would make for a terrific backdrop to a mystery story: What would happen, I wondered, if a local Santa Cruz gal suddenly found herself caught between the world of her family’s traditional, old-fashioned Italian restaurant, and that of the newly-arrived, politically-correct food activists? LK: The best titles tell a miniature story, in two to five words. Other than your cover art, the title is all you have going to encourage that reader to pick up your book in that store, turn it over to read the back and, hopefully, even crack the spine and take a peek inside. My titles have two primary roles to play. They must convey that the stories are murder mysteries and also that they concern food. But the titles also hint at the fact each book concerns one of the five senses. Dying for a Taste, the first in the series, was easy, as taste implies food, so you get two-for-one. The second (the sense of hearing), in which Sally joins a chorus that is going to perform the Mozart Requiem, was more difficult. How do you convey music and cooking with one word? And then it came to me: A Measure of Murder (measure being a musical as well as cooking term). For this new book, I wanted a title that hinted at art/vision—since Sally has enrolled in a plein air painting class in the book—yet would still make clear that it was a culinary mystery. So I was pleased when I came up with the title, Death al Fresco, which suggests both al fresco dining as well as outdoor painting. OMN: The covers are very striking! How involved were with their design? LK: I’m extremely lucky, in that my publisher always asks for my input regarding the covers and gives me say over the final product (something traditional publishers are not obligated to do with their authors). Crooked Lane has a terrific cover artist whom they’ve used for all three of my books so far, named Hiro Kimura. I don’t work directly with Hiro, but what he came up with for this most recent book is far more exciting and evocative of sense of place than anything I had imagined. (This is why he’s the artist and I stick with the writing.) And I was thrilled when I first saw the artwork. The spilled wine forming the shape of a skull on the white tablecloth not only immediately communicates the light-hearted tone of the book, but also truly bring the cover to life. OMN: Suppose your series were to be adapted for television or film, and you're tapped to be the casting director. Whose agents are you calling? LK: I’m just finishing up the first draft of Sally Solari number four (working title, Murder from Scratch), which concerns the sense of touch. The mother of a distant cousin of Sally’s has just been found dead at home of a drug overdose, and the cousin—Evelyn, who is blind—is too freaked out to go back to her house right away, so Sally’s dad convinces Sally to let her come to stay for a few weeks. Initially leery of having to “babysit” this twenty-year-old while she’s busy running her restaurant, Gauguin, Sally quickly realizes that Evelyn is amazingly competent, and has a wry sense of humor, to boot. In addition, due to her lack of vision, Evelyn’s other senses—in particular that of touch—are much more heightened than Sally’s. As a result, not only can Evelyn whip up a mean batch of fresh pasta for a nightly special at Gauguin, but she becomes invaluable to Sally as the two of them delve into the real reason for the death of Evelyn’s mom. The daughter of a law professor and a potter, Leslie Karst learned early, during family dinner conversations, the value of both careful analysis and the arts—ideal ingredients for a mystery story. Putting this early education to good use, she now writes the Sally Solari Mysteries (Dying for a Taste, A Measure of Murder, Death al Fresco), a culinary series set in Santa Cruz, California. An ex-lawyer like her sleuth, Leslie also has degrees in English literature and the culinary arts. She now spends her time cooking, singing alto in her local community chorus, gardening, cycling, and of course writing. Leslie and her wife and their Jack Russell mix split their time between Santa Cruz and Hilo, Hawai’i. For more information about the author, please visit her website at LeslieKarstAuthor.com and her author page on Goodreads, or find her on Facebook and Twitter. It’s Indian summer in Santa Cruz and restaurateur Sally Solari decides an open-air painting class is the perfect way for her to learn more about Paul Gaugin, the inspiration for her family’s newest restaurant. But the beauty of the Monterey Bay coastline is shattered when Sally’s dog Buster sniffs out a corpse tangled up in kelp. The body is identified as Gino, a local fisherman and a regular at the Solaris’ restaurant until he disappeared after dining there a few nights before. Witnesses claim he left reeling drunk, but his waitress swears Gino only had two beers with his dinner. And then the fingers begin to point at Sally’s dad for negligently allowing an inebriated customer to walk home alone at night. From a long menu of suspects that includes Anastasia, the mysterious woman who dined with Gino that fateful night, Gino’s deckhand Bobby, and bocce player Frank who accused Gino of cheating, Sally must serve up the tall order to clear her father’s name.